The telco named Amos Genish its new boss. The Israeli’s to-do list includes mending relations with the Italian government and clarifying those with shareholder Vivendi – as well as fighting fresh competition. Unless he addresses these problems, TI’s lowly valuation will endure. Telecom Italia appointed Amos Genish chief executive, the company said in a statement on Sept. 28. 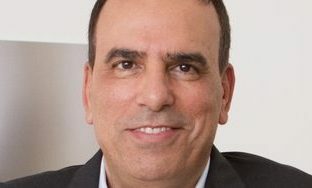 Genish, a former Israeli army captain, was appointed general manager for operations at the Italian group at the end of July, shortly after CEO Flavio Cattaneo left after clashing with top shareholder Vivendi. Genish was previously chief convergence officer at Vivendi, which holds a 24 percent stake in Telecom Italia. Before that he ran Telefonica Brasil. Telecom Italia Executive Deputy Chairman Giuseppe Recchi will oversee “all activities and assets that are relevant for security and national defence purposes”, the group also said in the statement. Telecom Italia faces a possible fine from Italian authorities for failing to notify the government that Vivendi has assumed de facto control of the group, Reuters reported on Sept. 29 citing government sources. Vivendi denies its holding has given it effective control of the company. The French group’s Executive Chairman Arnaud de Puyfontaine is also CEO of Vivendi. On Sept. 28 the board approved with a majority vote a joint venture with Vivendi’s Canal Plus, “intended to enable a major acceleration of the plans for telecoms-media convergence”. Telecom Italia shares were down 0.8 percent to 0.79 euros at 0850 BST. Vivendi shares were up almost 1 percent at 21.01 euros.